In Lake City with Morrow address. Great Investment-Great Location. 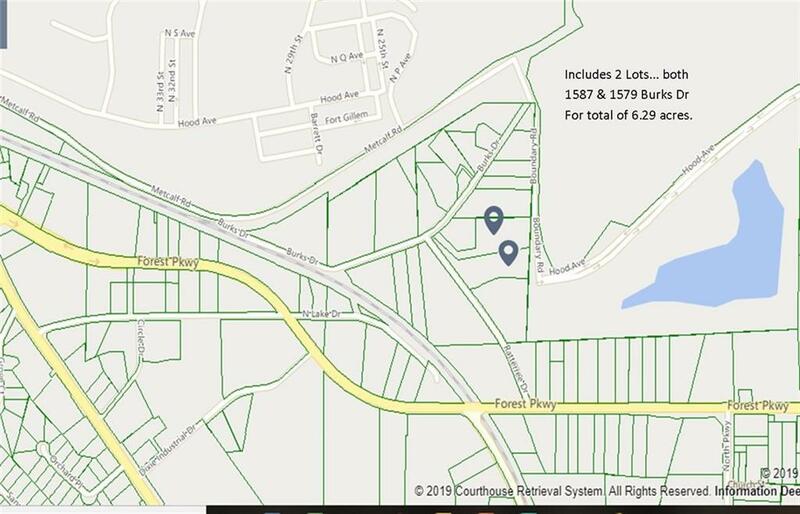 This 6.29 acre commercial property includes 2 lots 1587 & 1579 Burks Dr. Many opportunities. 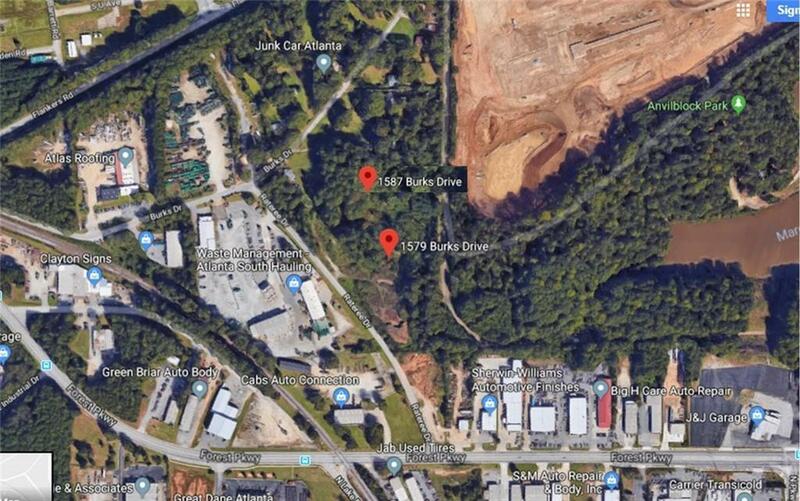 The property features great road frontage on Burks Road and near Forest Parkway. Plenty of room to build, this has potential opportunities. Its a must see! Very convenient and easy access to all major interstates ( I-75 & I-675, 8),Traffic flow&Ft Gillem only 1/2 mile away. Don't miss out on this fantastic opportunity for the savvy investor. Zoned commercial, resident , NB-Neighborhood Business. Seller Motivated.